Posted by Stuart Herbert on July 27th, 2010 in Cardiff, Modern, Photos, Shoot. Drive through the suburb of Llanishen, and you can’t fail to notice the “Save Our Reservoirs” placards planted in garden after garden as you go down the streets. The reservoirs in question are Lisvane and Llanishen Reservoirs, two adjacent reservoirs to be found just to the north-east of picturesque Llanishen itself. Why are they at risk? Through a convoluted chain of events that started when the UK’s water utility companies were nationalised, they are now owned by Western Power Distribution, an American company that is reported to have spent the last nine years trying to get permission to build several hundred homes on the site. At the time of writing, it is difficult to understand Western Power Distribution’s side of the story, as I’ve been unable to find any evidence of them attempting to connect with, or work with, the local community. Their official UK website makes no mention of Llanishen Reservoir at all, and they have provided no comments for any of the press stories that I’ve read. It therefore comes as no surprise that the Wikipedia page for Llanishen Reservoir repeatedly questions WPD’s motives for recent drainage activity at the site. Finally, it’s worth noting that local BBC news coverage of this story has been sporadic throughout (there is a growing problem of poor regional news coverage from the BBC in Wales, as reported to the media regulator Ofcom), and that Wales Online’s Your Cardiff and Guardian Cardiff remain the best places to keep up to date with this story as it continues with no conclusion in sight. I found it utterly impossible to photography the current water level at Llanishen Reservoir, as it is very thoroughly fenced off. There are plenty of open footpaths that run around the fenced off reservoirs. 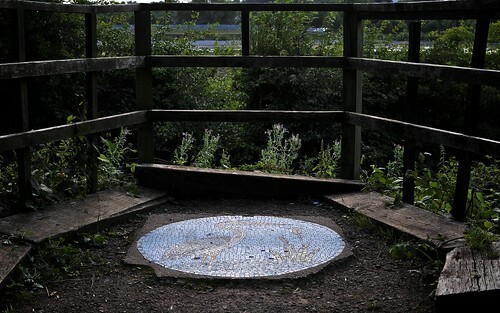 One of the footpaths leads to this viewing point, with this charming mural set into the ground. Unfortunately, because of the way the trees in front have been allowed to grow, you can’t see anything of interest from here any more. Lisvane Reservoir isn’t completely fenced off, but the same can’t be said for Llanishen Reservoir. It is Llanishen Reservoir that Western Power Distribution is draining as part of their 9-year battle to replace it with housing. 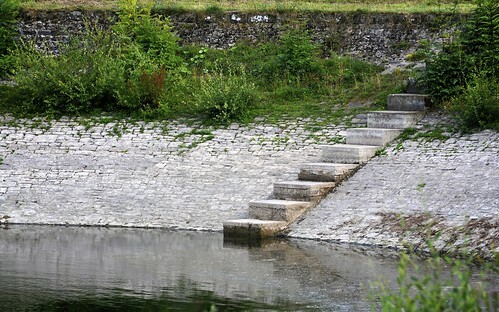 Western Power Distribution, the current and controversial American owners of Llanishen Reservoir, have been very thorough in securing access to the reservoir. 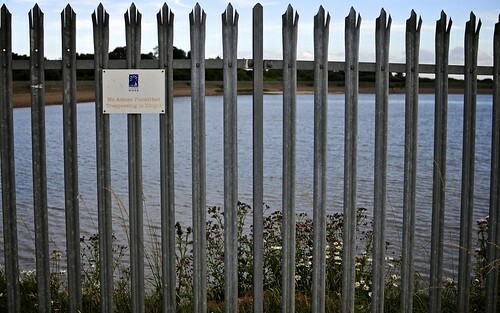 The reason I came to photograph the two adjacent reservoirs was a report on the Reservoir Action Group website about how Western Power Distribution, the American owner of these two sites, had drained Llanishen Reservoir. Unfortunately, I wasn’t able to find anywhere to view the water level of Llanishen Reservoir, as it is heavily fenced off, but I was able to shoot the fallen level of Lisvane Reservoir. 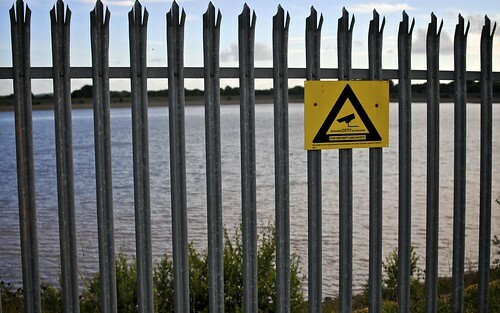 According to the Reservoir Action Group, the water level here has fallen because water is being taken out of the reservoir for use in industry down in Cardiff Bay. 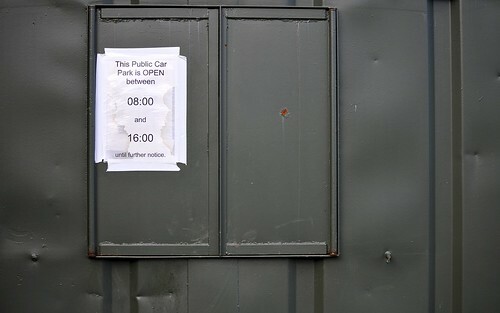 There is a car park at Lisvane Reservoir, which the signs say is open from 8am to 4pm “until further notice”. 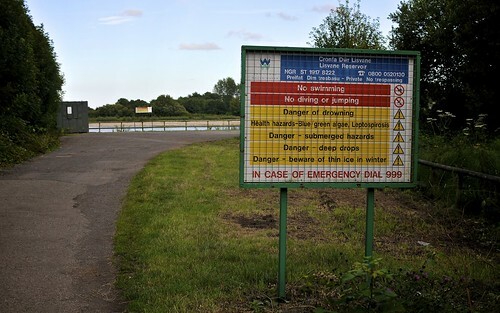 … and this is the notice at the entrance to the car park, confirming the dangers of open water such as Lisvane Reservoir. 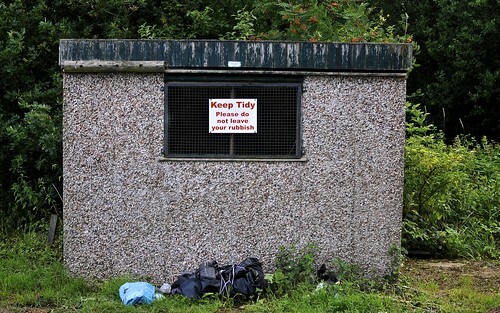 Not the prettiest of pictures – I’ll hope you will excuse me for that – but I couldn’t help but notice that this sign appeared to have become a magnet for the very thing it asks people not to do. A failure in individual responsibility? 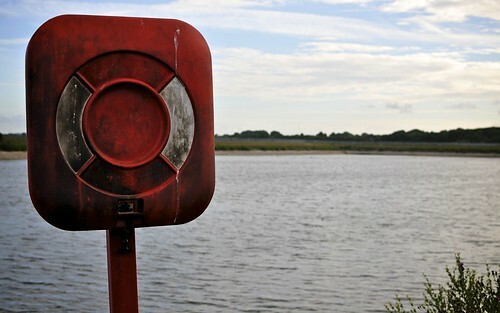 To finish this set of photos, here’s a shot of one of the eye-catching life buoys that can be found around Lisvane Reservoir. 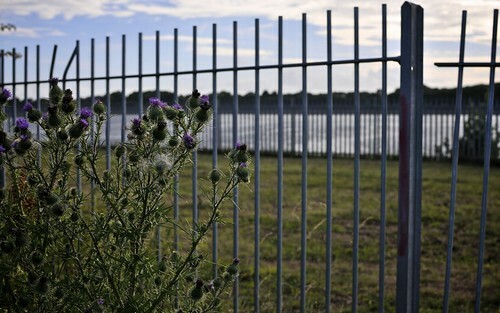 The future for Llanishen Reservoir is looking more and more uncertain, now that the Environment Agency has given Western Power Distribution permission to drain it completely. If anyone from Western Power Distribution or the Reservoir Action Group sees this set of photos, and wishes to invite me and my camera for a guided tour as this battle continues, please do get in touch, as I would be very happy to cover this story as it continues its new chapter. Desktop Wallpaper: The Martians Are Coming! Posted by Stuart Herbert on July 27th, 2010 in Desktop Wallpaper. My desktop wallpaper choice today is another of my favourite photos taken with the Nikon D200 during the four and a half years that I owned one. We have a tradition in our family of going out for a meal to celebrate our birthdays. Back in 2007, when Kristi asked me where I’d like to go, I think she was expecting me to nominate one of our favourite Japanese restaurants (which, to be fair, is where we go most years for both of our birthdays). But that year, I surprised her by nominating a little fish and chip shop on the seafront of Scarborough back in my native Yorkshire (best country in the world, btw!). 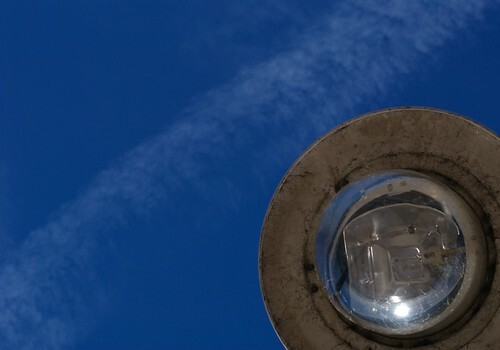 As with Borth the previous year, January proved to be a great time to go out with the camera, and my favourite shot from the visit was this shot looking up at one of the street lights on the sea front.